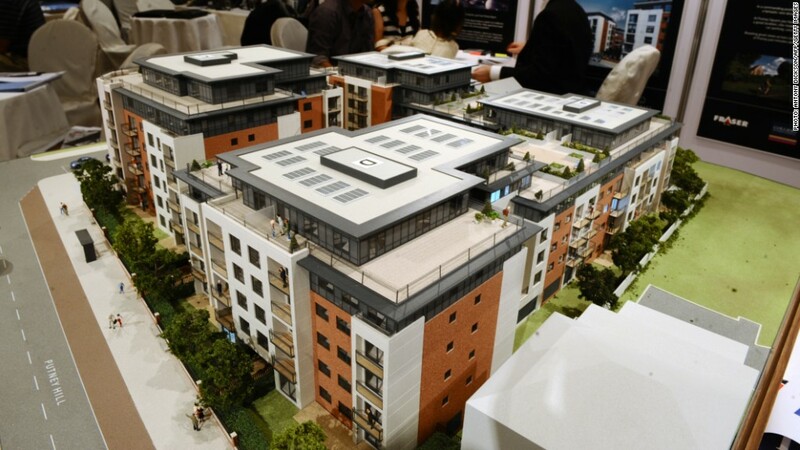 Developers sometimes use scale models to illustrate planned London developments for Hong Kong buyers. Foreign buyers are snapping up central London homes, distorting prices and forcing policymakers to levy new taxes in an attempt to control the market. London real estate is among the most desirable in the world, attracting wealthy investors looking for high returns -- often at the expense of city natives who are being priced out of many neighborhoods. Foreign money so dominates that nearly 70% of newly built properties in prime areas of central London were bought by foreign nationals between 2011 and 2013, according to realtor Knight Frank. And nowhere is the frantic race for London real estate more evident than in Hong Kong, where newspapers regularly feature full-page advertisements for new buildings and developers host sales events in swanky hotels. Hong Kong's marquee Mandarin Oriental hotel is transformed into a showroom for London properties on most weekends, with realtors including Knight Frank and Colliers seeking to attract buyers -- many of whom are willing to shell out for an apartment sight unseen. Competition for these buyers is intense, so much so that sellers even do battle over securing the best function rooms at the Mandarin. "The buyers we are dealing with are very experienced investors," said Neil Batty, Knight Frank's head of international project marketing. "There are also people who come every week to look at the projects that are on offer, so they understand what's good value." Batty said that 130 to 140 potential investors come through the doors on a typical weekend at the Mandarin. The would-be buyers are met with floor plans, view books with glossy images of Buckingham Palace, as well as a sizable supply of dim sum, croissants and coffee. Buying at the Mandarin is a full-service experience. As a deal is signed, investors can meet with lawyers or discuss furniture options with interior designers. Some investors hope to rent out the property to tenants. Others buy for their children studying at boarding schools and universities across the UK. Most sign up for developments that won't be completed for years. "Asian buyers are very savvy and are used to reading plans. They are able to visualize what they are getting in the end," explained Cherrin Loo, the Head of International Residential Properties at Savills China. Jenny Leung, a Hong Kong homeowner who also has property in Australia, said she was looking to diversify her investment portfolio in 2011 when she bought an apartment in London's Canary Wharf through a property exhibit. "You do want some kind of diversification," she said. "You don't just want to invest in your home country or home town." Others value London real estate for its raw earning power, and see property as a stable alternative to stocks. "If you look at the performance of the stock market over the last 10 years compared to central London, I think that most people would come out worse if they were in the stock market," said Ashley Osborne, executive director of international properties at Colliers International. "There's just a feeling that people would rather have a stake in something that they own outright." For developers, selling in Hong Kong is a matter of going where the money is. Euroterra co-founder Pantazis Therianos said he chose to focus on Asia after observing the success that other developers were having in the region. But some developers fear the appetite for London properties may slow as the government prepares to tax future investment gains made by non-residents. Currently, only UK residents are subject to capital gains tax on their second homes -- a tax that is usually levied at 28%. The capital gains tax change, due to take effect in April 2015, will require overseas buyers to surrender some of the profits they make on UK property. 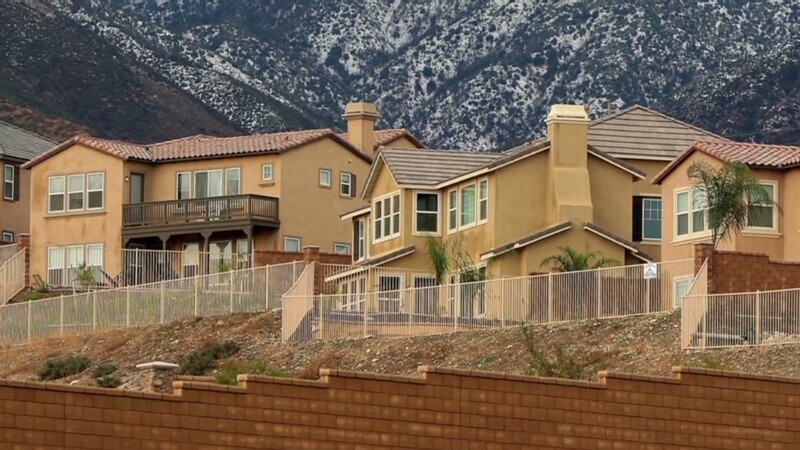 Some foreign buyers will be affected by another tax change. From this month, the government is applying stamp duty at a rate of 15% to any purchase of residential property worth £500,000 or more made through a company. And pressure is building for measures to prevent foreign investors being offered first refusal on prime London real estate. The city's mayor has urged developers to stop marketing new homes to overseas buyers before they've been made available to Londoners. -- CNNMoney's Mark Thompson contributed to this article.